In the last year or so Samsung has been on an upward climb in the smartphone world with a succession of popular handsets being released to the masses. The company also provides a number of other products to consumers though and have long offered digital cameras for purchase, but more recently launched the Samsung Galaxy 4G LTE Camera that is now heading to US carrier Verizon with some mixed feelings. Samsung has been pushing its new camera offering a lot recently with numerous TV ad campaigns and via other media channels and the device offers owners a connected point and shoot camera with a 16.3-megapixel 1/2.3-inch BSI CMOS lens. There is also a 21x optical zoom, 4.77-inch HS Super Clear Touch display on the back, and this is all powered by a quad core processor clocked at 1.4GHz. Other features include 8GB of internal memory that can be expanded by a memory card, ten different modes, auto-cloud backup, Smart Pro, Share Shot, Bluetooth 4.0, HDMI 1.4, 1,650 mAh battery unit, and Wi-Fi a/b/g/n. While the camera looks great with some nice features those that may own it on Verizon will have to pay an extra $5 per month to share photos to their Share Everything account, which is currently a promotional price. 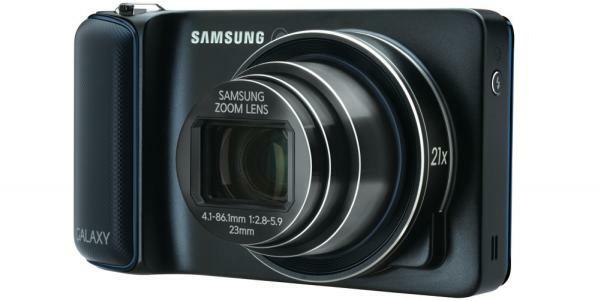 This is on top of the $549.99 asking price for the Samsung Galaxy Camera that puts the device into DSLR territory, and it’s debateable whether the Samsung camera could compete with this type of digital camera at around the same price point. There will also be many questioning whether you need such a camera to share normally fun images onto social networks such as Facebook when most people now have a worthy camera already available on their smartphones. Obviously you can still use the Samsung Galaxy Camera without the need of a Share Everything account, and you have to ask what is the point of connecting any high quality camera to a wireless carrier? AT&T also offer the device but this version doesn’t offer LTE connectivity but is $50 cheaper than what Verizon are asking for the device, so it remains to be seen how many consumers decide to pick up the Samsung Galaxy Camera from Verizon. Do you see the point of connecting a point and shoot digital camera to a mobile network, or would you prefer to spend your money on a quality DSLR instead?